Oakley is known for its design innovation and superior products. 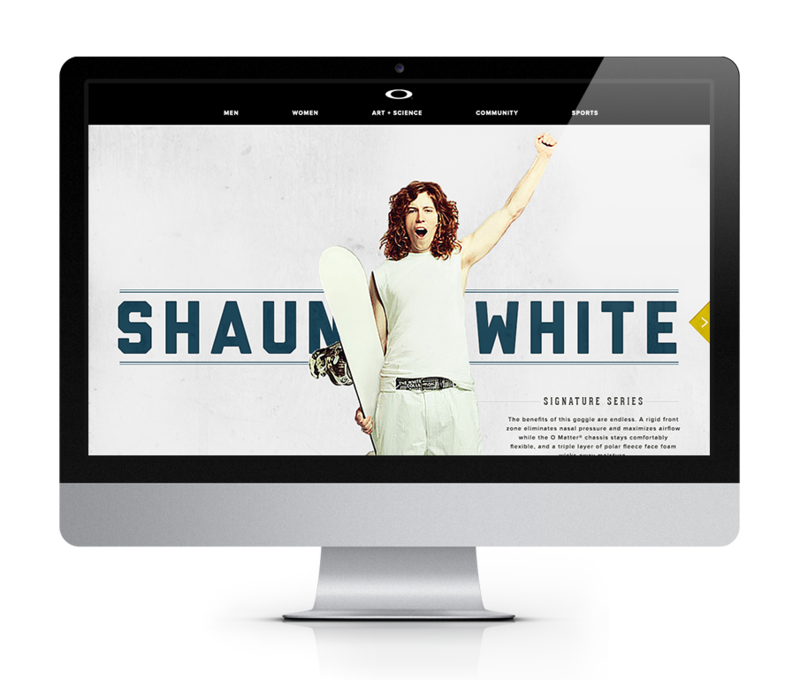 We were contacted to explore an interactive brand refresh and create a fully responsive website for Oakley.com. Starting with mood boards, we explored directions using more white space and clean lines, while incorporating the rough and athletic aesthetic they're accustomed to. Below are moodboard concepts as well as the final redesign of Oakley.com.